DVD/CD are used to store data. Data can be images, videos, softwares, os or files. For Example: you have DVD of Windows 7 OS. If a single file of that DVD gets effected due to scratches, whole dvd will be useless. This is why we should convert DVD To ISO. An ISO image is an archive file of DVD/CD. ISO image files usually have file extension of .iso. Bootable windows 7 should be stored in ISO image to make it safe from scratches and other damages. There are many software’s to open ISO file eg: Ultra ISO, Power ISO, etc. We are going to use IMGBurn in this tutorial. Hope you understood what is iso image file. To know more about iso image Click Here. 1. Download IMGBurn : Click Here. 2.1 – Double Click on install “SetupImgBurn.exe”. 2.3 – On “install additional software” Dialog box, click on “click here” as shown in the picture. unmark all 3 of them as shown below. Click “next” and “Finish”. our setup is finished. 4. Next Click on “Create image file from disc“. This software has many other options like “write image file to disc”, etc. to know more you can watch this hindi video too. 5. In destination click on “Browse” and select folder where you want to save your ISO Image. click on “save”. 6. Now we are ready to convert dvd to iso image process. click on the icon as shown in image. 7. Now converting process will be running. sit back and relax. 8. 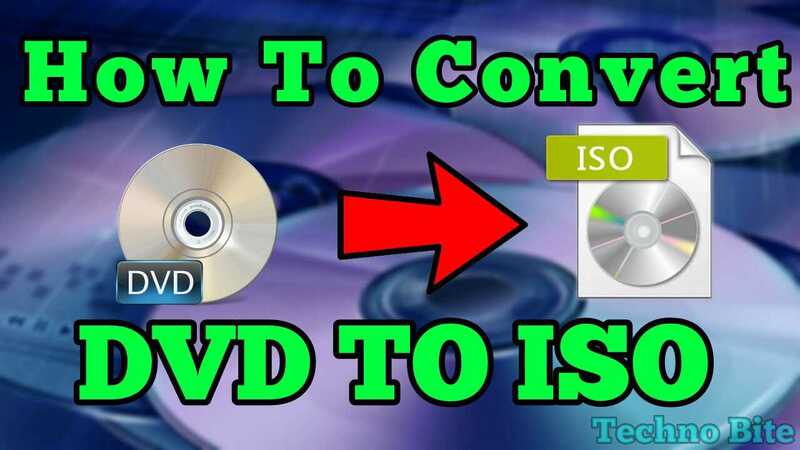 That’s it guys, its that simple to convert DVD to ISO image file. you can open and check out iso file using UltraISO or PowerISO. I think now you can easily convert dvd to iso image and make your data safe and ready to burn. Please comment below your queries and thoughts. Hope you like this tutorial. If yes, please share it on your social accounts. To receive latest updates from Techno Bite, do subscribe our newsletter and subscribe our youtube channel to watch our video tutorials. Tips and Tricks, Tutorials, Windows Tips and Tricks convert dvd to iso, dvd, dvd to iso, How To's, iso image. permalink.